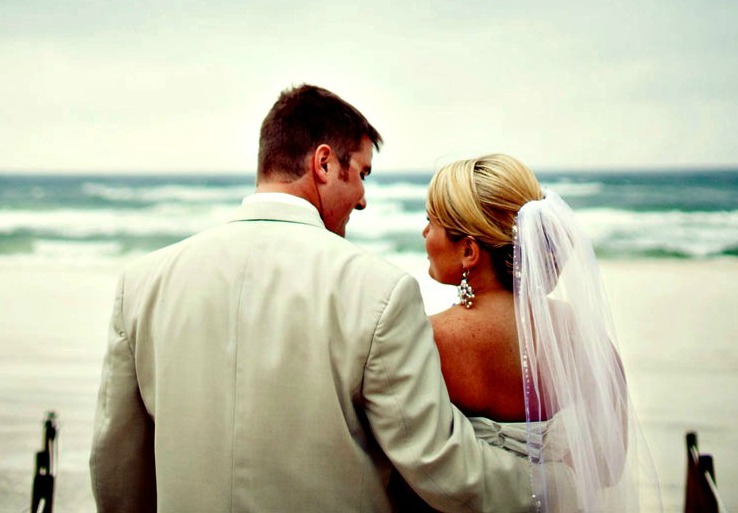 Whoever said life is all about the journey rather than the destination clearly did not have a Boardwalk Beach Resort wedding in Panama City. Close your eyes and picture you and your partner, the bridal party, and the groomsmen having fun taking photos while the sun sets over the Gulf of Mexico. Think of how much joy it will bring you to relive those memories every time you, your friends and family see the pictures in your home. And, imagine how grateful your guests will be, relaxing on the beach or playing in the sand, during the days before and after your wedding day. You can believe that there will be plenty of playing, because Boardwalk Beach Resort is home to 120,000 square feet of private beach — the largest stretch of private beach in Panama City Beach, Florida! The Pavillion at Boardwalk Beach Resort offers space for 500 guests, and is shaded but open to Gulf breezes. 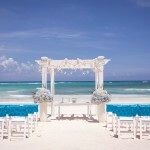 Now imagine yourself saying “I do” to your soulmate and celebrating with your closest friends and family on the world’s most beautiful beaches. It’s about the only thing that could possibly match the beauty of the bride. 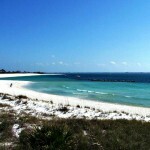 The wedding of your dreams is within reach — as well as within reason — when you plan a beach wedding on the Gulf Coast. 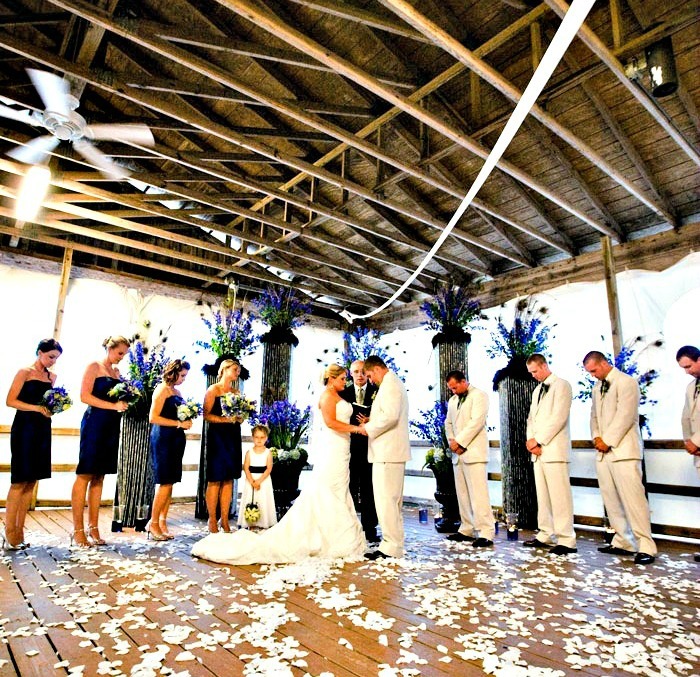 From beach to ballroom, Boardwalk offers a variety of beautiful venues in which to say “I do.” If you truly want a ceremony on the sand, the resort boasts the largest private beach in Panama City and four Gulf-front sites for weddings. 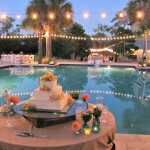 The suptropical weather in Panama City makes an outdoor wedding possible nearly year-round. Tropical breezes will keep things comfortable and cool in the summer, while the warm sunshine will keep you and your guests comfy in most of the winter months, when temperatures are often in the 60s and higher. Another outdoor option is one of the overlook decks. 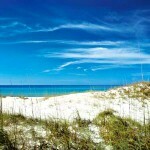 There are two decks, both offering panoramic views of the beach. Each is roomy enough to accommodate a cash bar, a DJ, or dinner setup for up to 60 people. A pleasant compromise between indoors and out, the beachfront gazebo offers shade from the sun but is open on all sides to catch the Gulf breezes. It can hold up to 125 guests for the ceremony. Set up with tables for a reception, its capacity is 60. Roomier than the gazebo but still open to the outdoors is the pavilion, which is large enough for 500 (a minimum of 125 is required to reserve it). Indoors, the Gulf-front hotel and conference center houses enough banquet and reception space to accommodate up to 3,000 guests. The ballroom, an elegant option featuring 24-foot ceilings, has space for up to 1,000 guests. Perfect for a small, intimate indoor ceremony are the salons, each of which features 12-foot ceilings and space for up to 100 guests. Your wedding day should be a day of perfection. It is a day to celebrate the perfect pairing of two people. 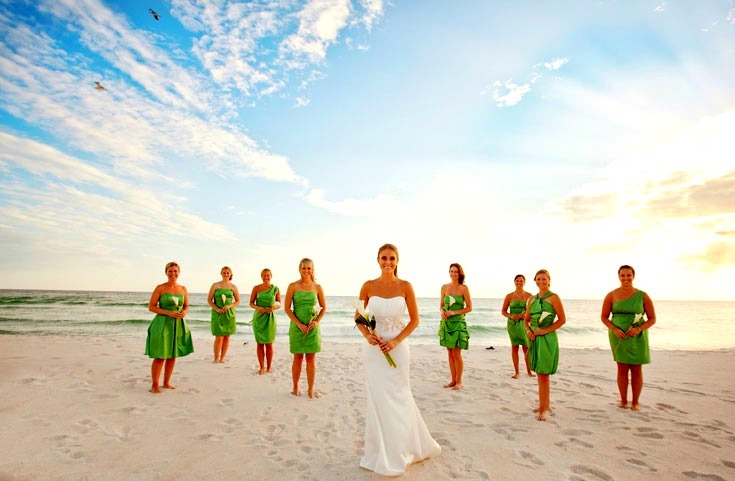 So why settle for anything less than the perfect memory with the Emerald Coast as backdrop for your big day? Visit Boardwalk Beach Resort Condominiums and Boardwalk Beach Resort Hotel for more information. On-site staff will be happy to answer your questions and offer room blocks with special group rates.